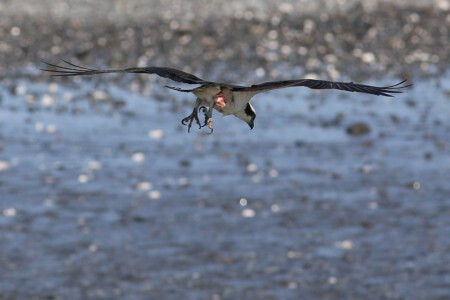 The ospreys are back in Oregon. I’d been waiting for their spring return all winter. Along with their return, I’d been waiting for Canon to release their Canon 5D Mark III Digital Single-Lens Reflex (DSLR) camera, so I could replace my Canon 60D. 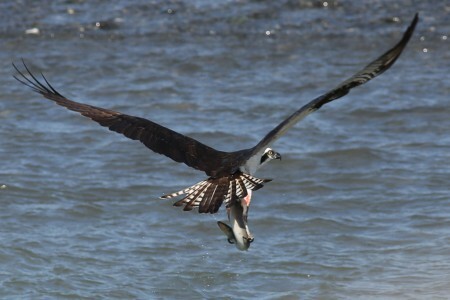 I saw my first osprey of 2012 in mid-March and received my new camera in early April. 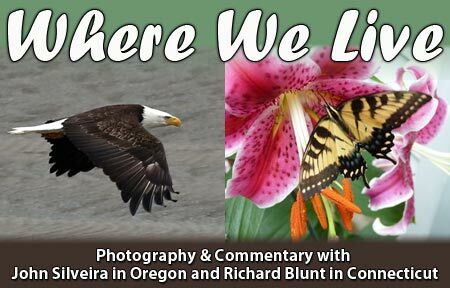 Thus begins a photo blog of where I live in southwestern Oregon, and I’ll kick it off with a sequence of photographs I took from the south jetty, at the mouth of the Rogue River, April 14, 2012, at about 10:30, on a bright, sunny Saturday morning. For those who are photography buffs, the sequence was taken with a Canon EF 400mm f/5.6 USM lens mounted on a Canon 5D Mark III camera. They are also all cropped photos. 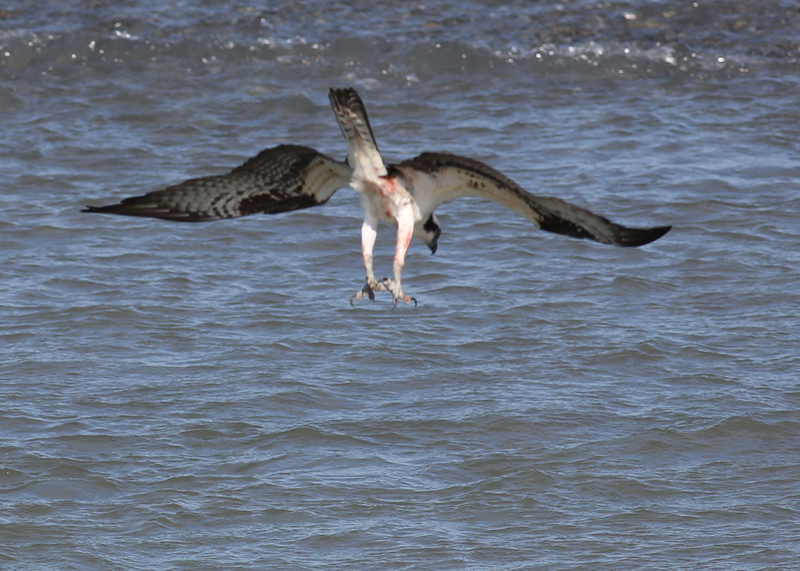 The blood on this osprey's feathers are from a fish it had eaten earlier. 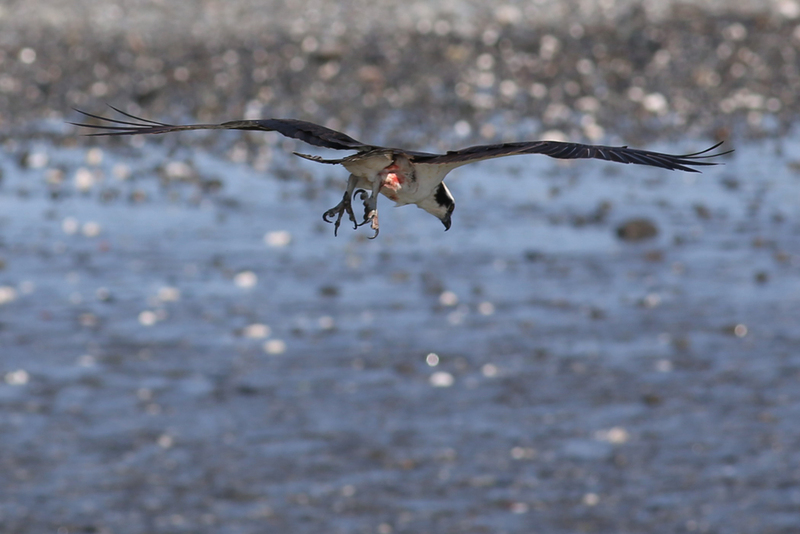 An osprey will “hover” anywhere from 30 to 100 feet over the water, searching for prey. 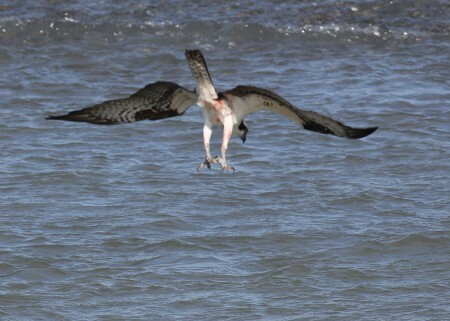 Once they spot what they want, they will usually dive in talons first. They can grab fish as much as three feet beneath the surface. 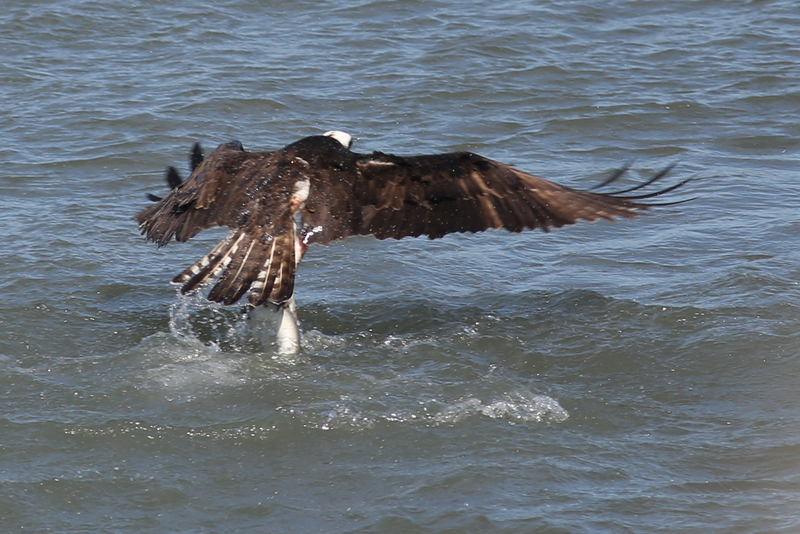 Although they are classed as water birds, ospreys can't swim. 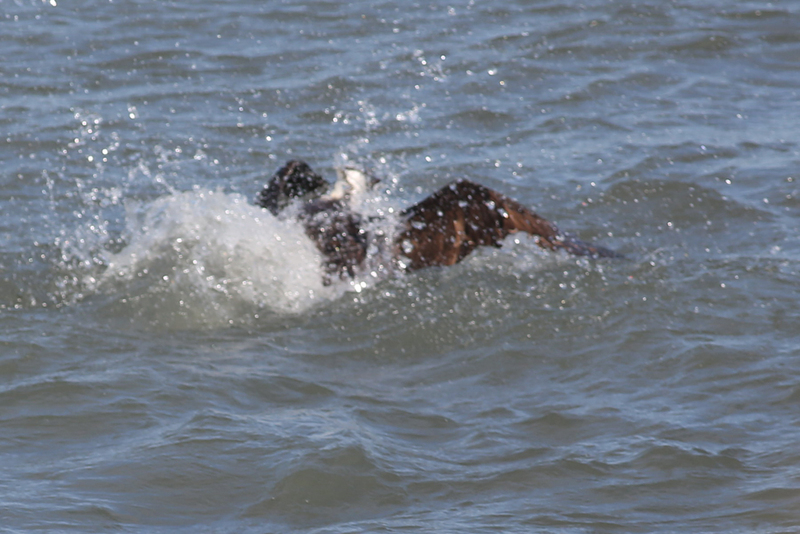 Once they've caught (or missed) their prey, they must get out of the water, quickly, before they become waterlogged. If that happens, it's likely they'll drown. A grown osprey can lift fish that weigh more than themselves. This one caught one of the many eels in the Rogue. 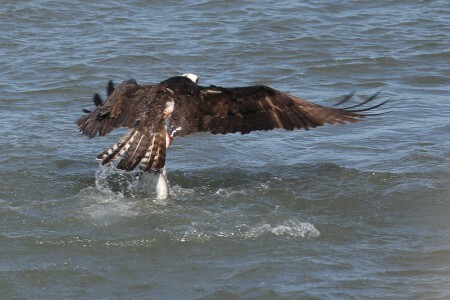 Now that it's made its catch, it will either take the eel to a high perch to eat it, or it return with it to its nest to feed its mate or its young.